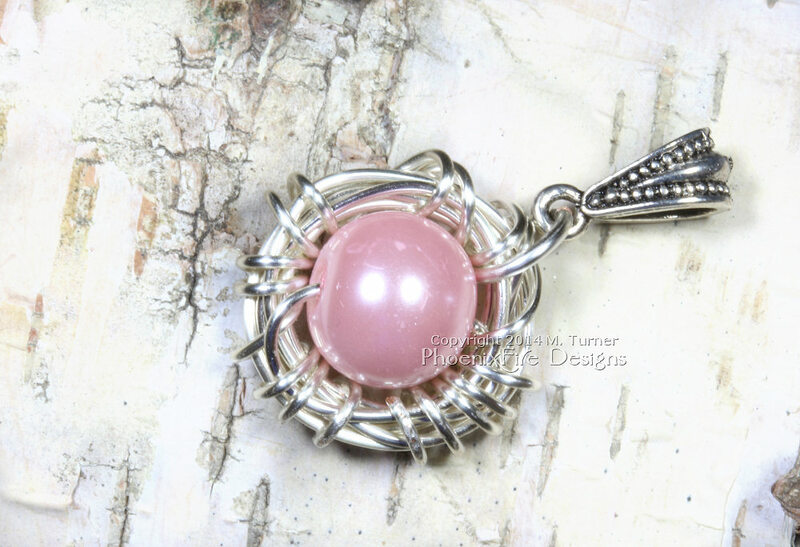 Greetings from artisan jewelry maker Miss M. Turner of PhoenixFire Designs, maker of world-famous original Tree of Life Pendants, Full Moon Tree of Life Pendants, Wire Wrapped Jewelry, Bird Nest Jewelry, Bridal, and More. Custom orders always accepted. Please feel free to contact me with your ideas! PhoenixFire Designs is home of the ORIGINAL Tree of Life Pendants on etsy since 2006! Often replicated but never duplicated, count on PhoenixFire Designs for quality, skill and flawless customer service. Our wearable jewelry art is unique, handcrafted and 100% made in the USA by maker Miss M. Turner. I specialize in making custom and unique, hand crafted gemstone pendants, with my signature piece being the Tree of Life pendant. I offer a wide variety of Trees, in various metals like eco-friendly recycled sterling silver and 14k gold fill wire as well as permanently colored gunmetal, brown, brass, non-tarnish silver plated, and non-tarnish copper. 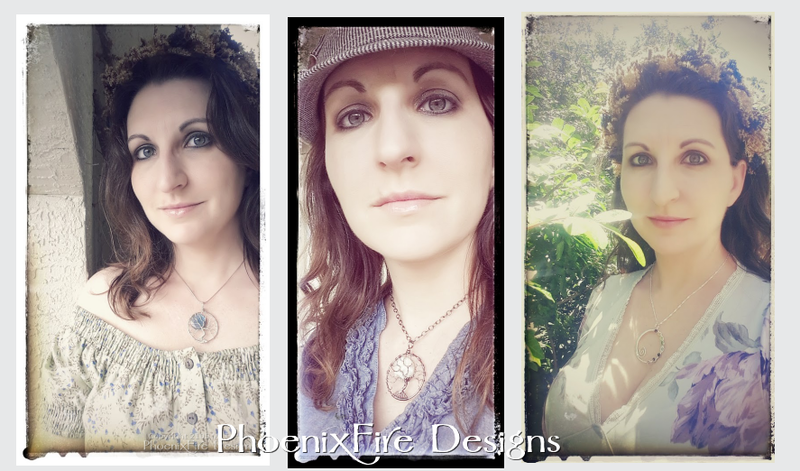 Phoenix Fire Designs Tree of Life Pendants and handmade, wire wrapped jewelry compliment a wide variety of occassions and looks from boho style, to an urban city girl look, and even a pagan earth goddess vibe! 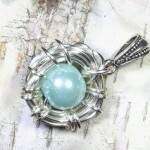 PhoenixFire Designs tree of life pendants and handmade wire wrapped jewelry compliment any occasion or personal style. Dress up or dress down; bohemian, urban city or tree hugger – you will always find a reason to wear our beautiful jewelry art! I also can make a Family Tree or “Mother’s Tree” using the birthstones of children and grandchildren to celebrate Motherhood and family. 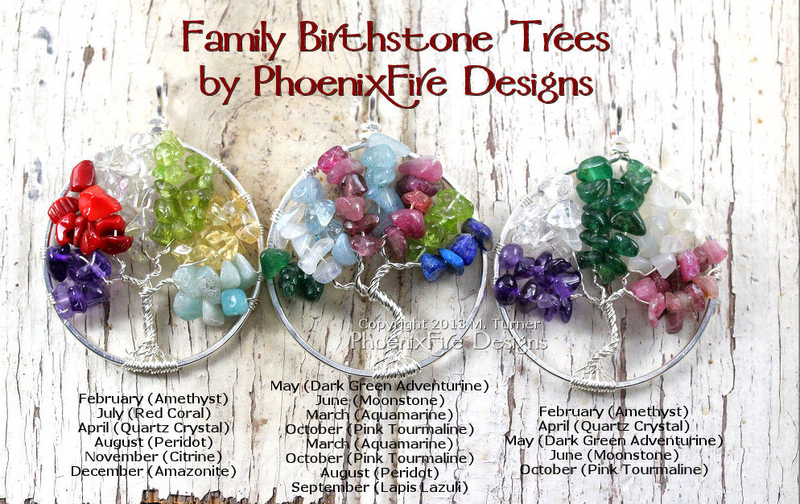 Family Birthstone Tree of Life Pendant examples by PhoenixFire Designs. Using birthstones for children and grandchildren, this family tree celebrates motherhood and family and is customized just for you! Tree of Life pendants can also symbolize a special event such as a wedding or birth of a new baby or new mom, or a season like Spring, or Autumn. I can also make a pendant in your favorite colors or stones! 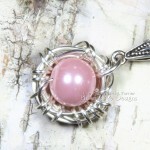 The most popular style I offer is my Full Moon Tree of Life Pendants. These pieces are bare of leaves like one would see in late Fall or Winter. A large, round gem is nestled into the branches to form a moon peeking through the tree – just like you’d see on a walk in the woods at night! The Full Moon Trees are available in many different wire colors and a multitude of moon stones and color options such as rainbow moonstone and more. Tree of Life Jewelry is a perfect gift for her, be it Valentine’s Day, Mother’s Day, her birthday, your Anniversary or Christmas. My handmade wire wrapped trees also make lovely Bridal or Wedding jewelry, including special gifts to your bridesmaids, maid of honor or Mother of the Bride. In addition to my trees, I also make a range of customizable birthstone jewelry, Mother’s jewelry, baby shower gifts, new mom gifts and push presents such as my It’s a Girl! bird nest, It’s a Boy! 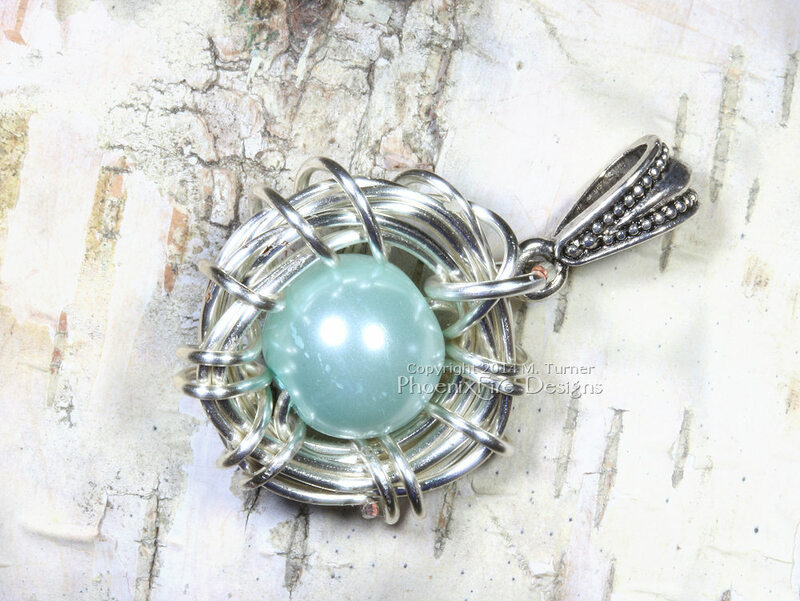 bird nest, customizable mother’s bird nest pendants and more. 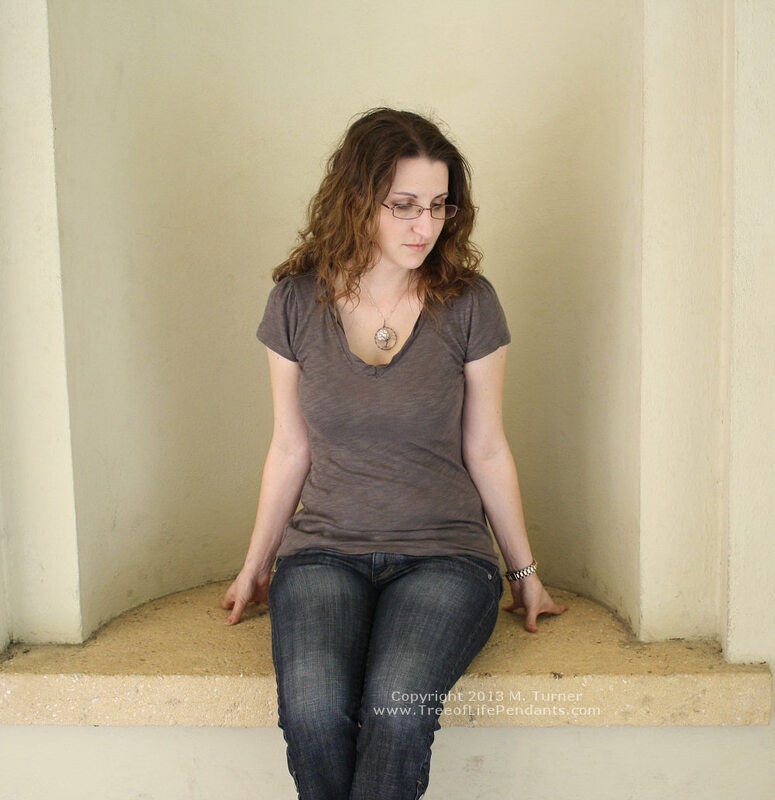 All jewelry is made by hand, by me personally in my studio in Tampa, Florida. All items are made in the USA. Remember, custom orders are always gladly accepted. 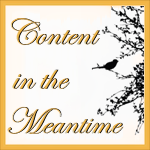 Thank you for your interest in M. Turner and PhoenixFire Designs! I’ll post new items here, talk about upcoming events and shows, share look book style inspiration ideas and more! Check out a sample of some of the custom pieces I’ve made for clients, get inspiration and contact me for your own unique, one of a kind creation! PhoenixFire Designs does a selection of crafts shows, art fairs and festivals throughout the year. You can find our calendar and schedule here. A random assortment of pieces available in our etsy shop is shown below. Click any image to get more details and purchase information. You can also see the entire storefront here: PhoenixFire Designs.